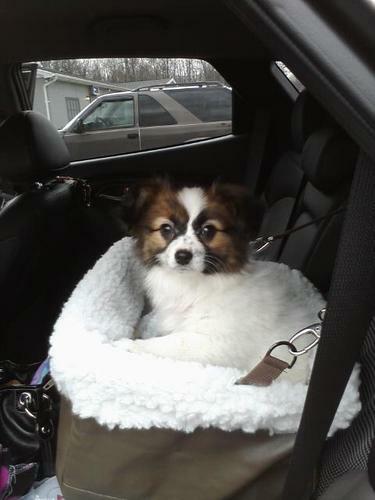 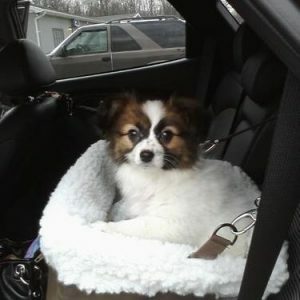 A dog car safety seat is the ideal way to keep your small dog (s) safe and comfortable during car journeys. 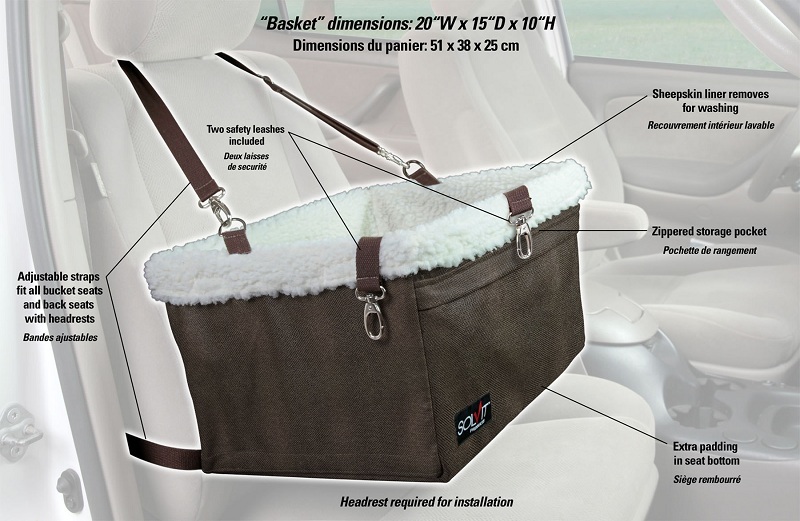 The webbing straps fix securely over any car headrest and the straps on the base fix to your own car seat belt so that the seat cannot move if you brake suddenly. 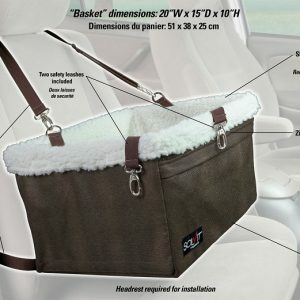 We recommend using along with our Bergan car safety harness, simply engage your own seat belt first before fitting the Tagalong car booster seat, have your dog already in his harness, pop your dog into the seat and attach the tether to first his harness and then finally the car seat belt – the seat won’t move and neither will your dog. 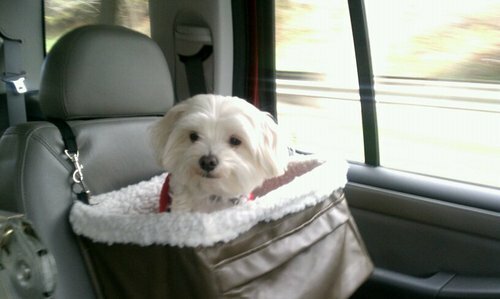 The backseat is the safest place.